HeartbeatInk Tattoo Magazine was in Paris for the fourth consecutive year for the famous Le Mondial du Tatouage. On Friday 9th, Saturday 10th and Sunday 11th March, La Grande Halle de la Villette opened its doors and welcomed more than 30.000 people while hosted 420 tattoo artists from 40 different countries. 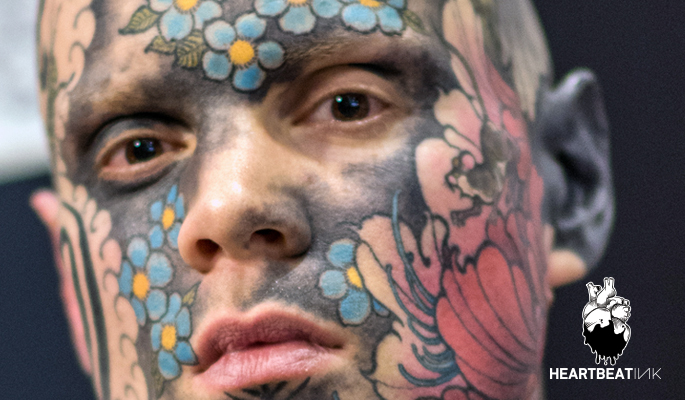 Tin Tin, the organizer of Le Mondial du Tatouage and a well-known tattoo artist, has managed, along with his team, to organise a highly important and successful international tattoo convention. Like every year, this year there were also Greek entries with Christos Galiropoulos, Ozone, Dr Pepper, Sake, Siemor, Kostas Tzikalagias, Dimitris Chatzis, Otheser, Alex Gotza, Natalie Nox, Aber and Roza. While the jury was comprised of the legends of tattoo Filip Leu, Bill Salmon, Luke Atkinson, Kari Barba and Mark Mahoney.